Home » Uncategorized » What does ‘Reasonable and Necessary’ mean? Finding it difficult to understand what ‘Reasonable and Necessary’, means? If you’re in the process of transitioning to the NDIS you’ve undoubtedly heard the phrase ‘reasonable and necessary’, and probably with great prolificacy at that. 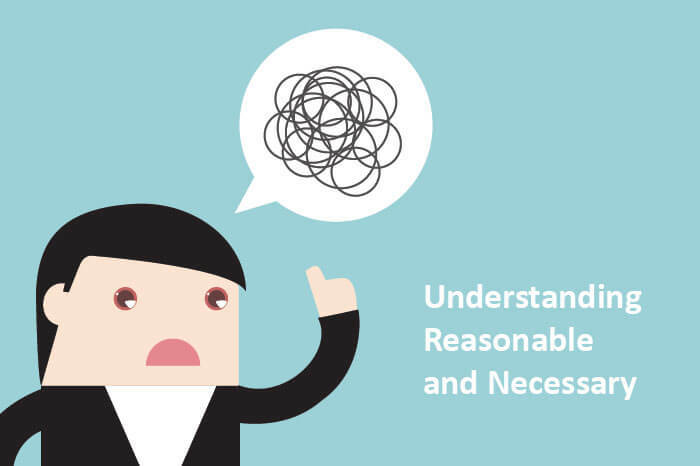 But what does ‘reasonable and necessary’ mean and why is it important to understand? ‘Reasonable and necessary’ is important to understand because it’s by this determination that the NDIS provides funding for your supports. If you have a disability that is likely to be permanent and significant the NDIS will fund reasonable and necessary supports to help you to reach your goals and aspirations, and to take part in activities that increase your social and economic participation. The National Disability Insurance Agency (NDIA) makes its decisions on what is determined ‘reasonable and necessary’, based on the NDIS Scheme Act (2013) and the rules made under the NDIS Act. There are also operational guidelines which provide practical guidance for decision makers. This will be different for everyone. In its determination, the NDIS will review what formal and informal supports you already have in place. Formal supports are those delivered to you via a skilled professional including providers or practitioners, and informal supports are those delivered via your support network such as parents, carer’s or family members. A reasonable and necessary support will be that in which helps you to reach your goal and aspirations, be more independent, take part in social activities and work, actively take part in the community and or enjoy an ordinary life. Once determined, these supports will be allocated in your NDIS Plan and you will have the choice of which providers you will like to deliver services to you. If you require additional information or further clarification regarding ‘reasonable and necessary supports’, please contact Lifebridge on 1800 043 186.